Staff Picks for February 6, 2019 – The Girl in the Bay, Gunhawks, Female Furies and More! It’s nearly Wednesday, and you know what that means: a fresh load of comics and graphic novels! With so many publications hitting your local comics store, comics event or digital storefront, the BF team are here to lead you through the woods with our weekly staff picks. Satisfaction guaranteed! One of comics’ finest pure storytellers J.M. 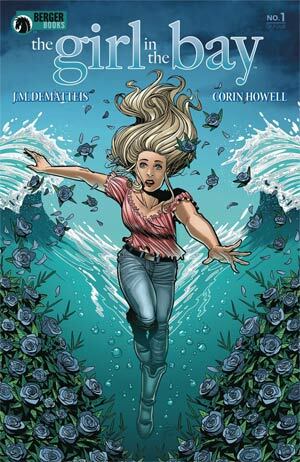 DeMatteis gets to work with editor Karen Berger again for the first time since the heady early days of Vertigo Comics in this four-issue series from Dark Horse’s Berger Books imprint. DeMatteis collaborates with artist Corin Howell whose frankly stunning visuals are a perfect fit for a tale that sees the otherworldly and the everyday converge, with James Devlin providing some moodily atmospheric colouring. In 1969 teenage rebel Kathy Sartori is violently attacked and thrown into Brooklyn’s Sheepshead Bay. Making her way back to the surface she finds herself catapulted forward in time to the present day and a world that has passed her by. But that’s just the start of a story that takes its central mystery off into expectation-defying directions. Do yourselves a huge favour and don’t read the solicitation for the first issue which gives away story elements that are far more fun for the reader to discover for themselves. This is a cracking first chapter from a creative team in perfect synch and a masterclass in establishing premise, characters and setting. Look for a full review at Broken Frontier later this week. Marvel is celebrating its 80th birthday by issuing a series of one-shots in genres that aren’t on the shelves much anymore (but maybe they should be). After already releasing War is Hell (war) and Crypt of Shadows (horror) this month features Journey Into Unknown Worlds (science fiction), Ziggy Pig and Silly Seal (kids comedy), Love Romances (romance—if you’ve never read a romance comic, here’s your chance), and Gunhawks (western). Written by David and Maria Lapham (Stray Bullets) with art by Luca Pizzari (Weapon X), this Gunhawks one-shot owes its shoot-first-ask-questions-later bravado to its seven-issue Marvel ancestor from 1972-73, but it won’t feature original protagonists Kid Cassidy and Reno Jones. The Laphams introduce Dean “The Deadman” Donnelly, a lawman with a checkered past that’s just caught up to him in the peaceful town of Clearwater, Arizona. Westerns are always more interesting when the delineation between good guys and bad guys isn’t so clear-cut, and Donnelly’s past misdeeds will make Gunhawks a gritty read. 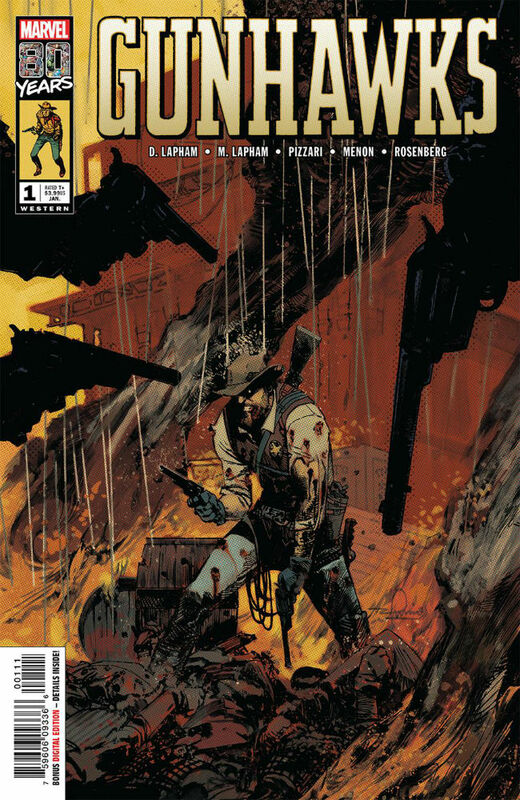 Interestingly, this western tale is set in 1914 rather than in the post-Civil War period of the original comic. That choice will lend itself to more interesting modes of communication and transportation, but none of that matters in a western if you can’t shoot straight. From the ephemeral to the populist through to the in-depth and the comprehensive, periodical comics commentary in print has a rich and fondly remembered history. 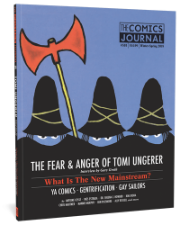 There are still a number of fine magazines keeping that tradition alive, of course, and ensuring that comics criticism still has a place outside of the online world. 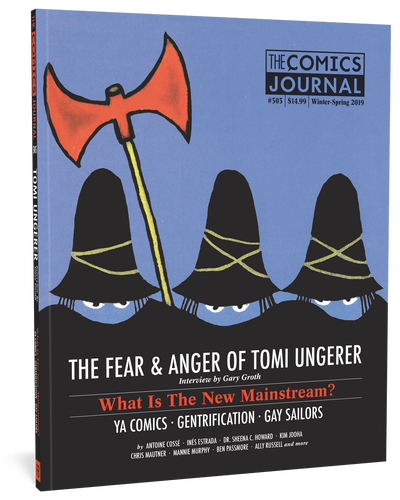 But of all the long-running publications that have fallen by the wayside over the last few years it’s undoubtedly the print incanation of The Comics Journal that has been the most missed. This week sees the first new issue in six years in a bumper-sized volume that kicks off its new twice-yearly schedule. 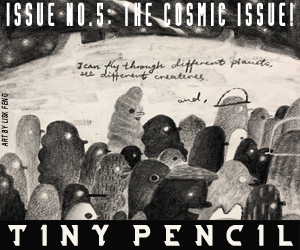 It includes a Gary Groth interview with French artist Tomi Ungerer, an exploration of the changing face of the medium since the graphic novel explosion of the early 2000s, Ben Passmore on comics and gentrification and, we’re delighted to say, Broken Frontier’s very own Ally Russell on the late comics writer Steve Perry. After the huge critical success of the King/Gerads Mister Miracle maxiseries the next Kirby Fourth World property to hit the shelves is Cecil Castellucci and Adriana Melo’s take on that elite and ever bickering group of Apokoliptian warriors the Female Furies. Castellucci recently gave us a re-imagining of Shade as the Changing Girl/Woman for the DC/Young Animal line that took the concept in entirely new directions without ever forgetting the concept’s roots. 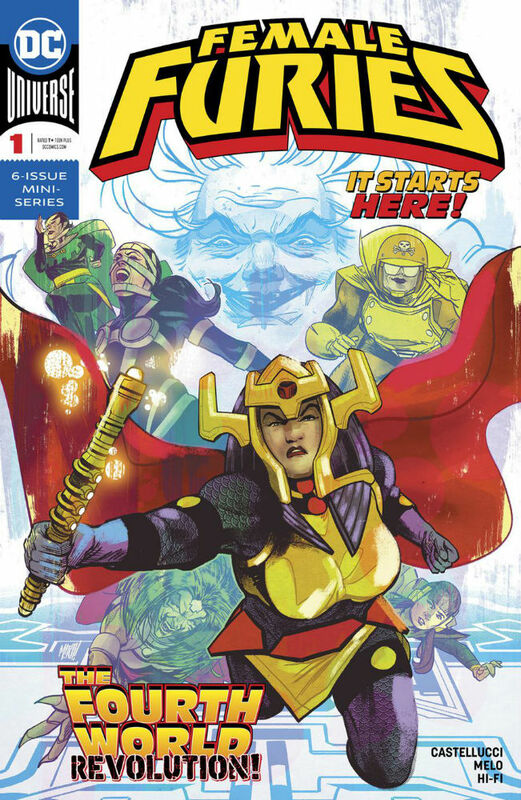 As regular Broken Frontier readers know we don’t often step into the super-hero world here but this new take on Granny Goodness, Big Barda, Aurelie, Mad Harriet, Lashina, Bernadeth and Stompa looks like a must-grab (and hopefully self-contained) offering this week. Here’s a new opportunity to experience the debut series that was responsible for Jorge Corona winning the 2015 Russ Manning Newcomer Award. Before he would go on to co-create No. 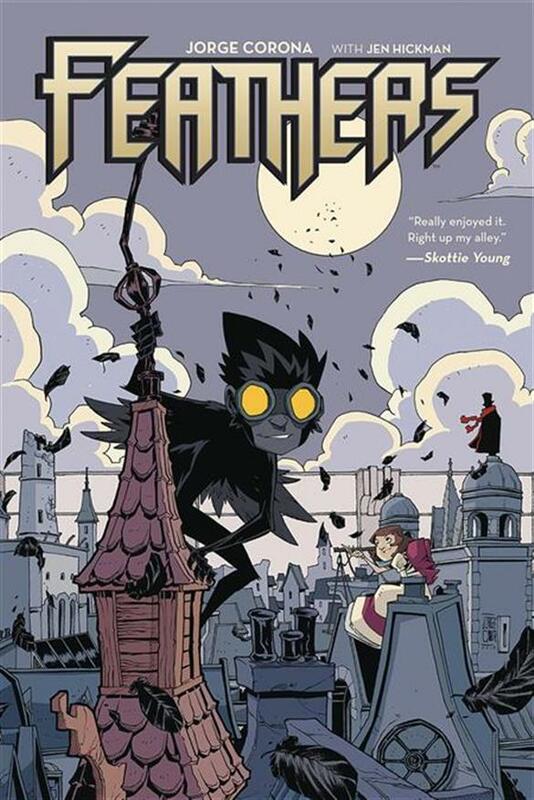 1 With a Bullet (for which he received an Eisner nomination for best cover artist) and well before he co-created the current Image hit Middlewest with Skottie Young, there was Feathers. Abandoned as baby due to his deformity, Poe grew up alone on the streets of Maze. That is until he forms an unlikely friendship with Bianca, a young girl from a rich and overprotective family, seeking adventured. When she winds up in a world of trouble, it’s up to Poe to save her and bring her home; a decision that will lead him to his true destiny. Broken Frontier Award-nominated Silver Sprocket (who made the ‘Best Publisher’ list for the 2018 edition of our annual awards) are not just putting out some top alt/indie comics work but they’re also responsible for a frankly prolific output for a smaller micropublisher. We continue to keep pushing their books in our weekly Staff Picks because their publishing catalogue embodies everything we value most at BF in terms of experimentation, eclecticism, vibrancy and attitude. 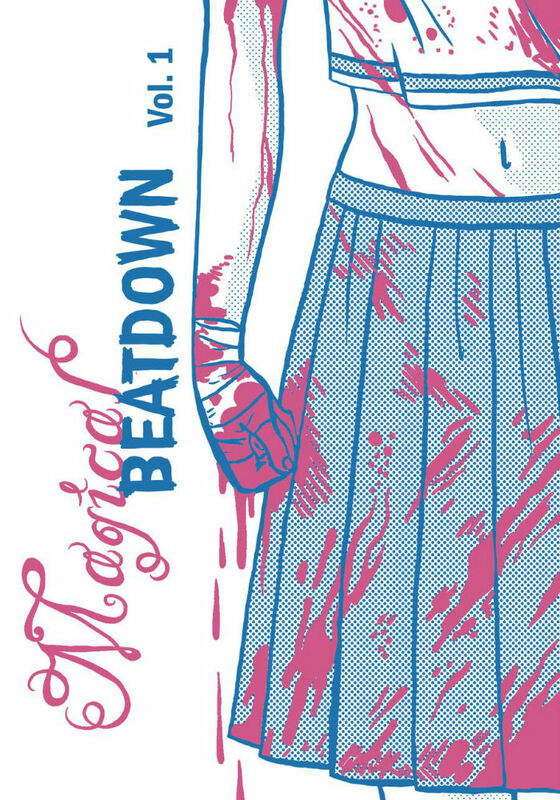 This week sees Jenn Woodall (Comic Book Slumber Party, Girls) introduce us to what we are promised will be a “hyper violent street harassment revenge fantasy in the style of Sailor Moon” in the pages of Magical Beatdown. 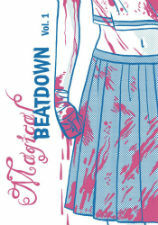 Look for a full review very soon at Broken Frontier. Staff Picks for March 27, 2019 – Rad Erwank/Conspiracy Dog, Sabrina the Teenage Witch, Femme Magnifique and More!